The Hudson residence 12 is 1,703 sq. ft. offering 3 bedrooms plus a den, 2 full baths and 1 half bath with a 2 car garage. 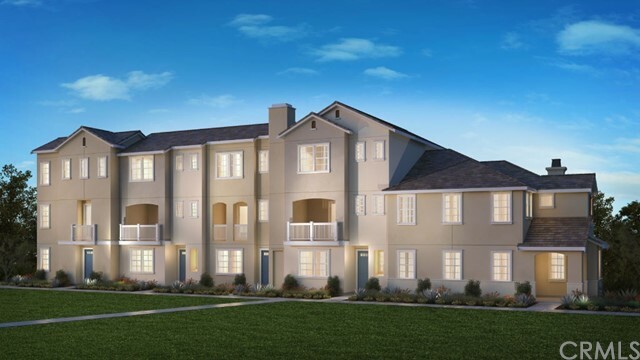 This 3 story attached townhome is thoughtfully laid out in design with the first floor opening to a welcoming entry way, off the entry you will find the den and bath. Upstairs on the second floor the gourmet kitchen leads into the dining and great rooms. Off the great room, you will enjoy the spacious deck. The kitchen is well appointed with a large island and plenty of cabinet space, including a walk in pantry and GE Profile stainless steel appliances. The third floor has two secondary bedrooms, with a shared bath and an upstairs laundry. The spacious master bedroom with a large walk in closet. The master bathroom includes two sinks and walk in shower. Vintage at Old Town by Taylor Morrison is a new community that is walkable to dining and shopping in the historical old town of Tustin. Community amenities include a pool, clubhouse and green space. Freeway close and centrally located in Orange Country, this is the place to call home! Photo displayed is a rendering of the model home, actual home is under construction, delivery expected in May 2019.